Discover Homes, Condos, and Land For Sale in Marin County. Marin County is one of the most desirable places to live. This small set of communities located just across the Golden Gate Bridge is surrounded on three sides by water. Marin is filled with natural beauty and protected spaces in a series of national and state parks. Marin has many county parks and private wildlife sanctuaries. 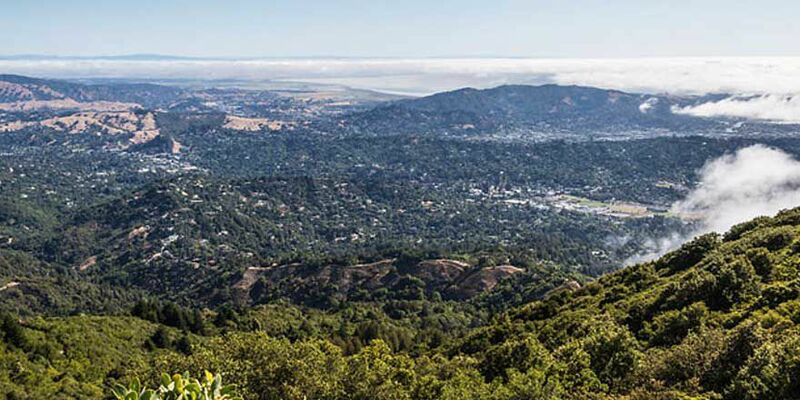 It’s no wonder that Marin County real estate is some of the most sought after in the nation. The homes for sale in Marin County are spectacular. At any time, a variety of historical estates, palatial oceanfront homes, and internationally recognized architectural wonders come to market. If you are looking for something extraordinary, this is the place to find it. Marin real estate has attracted more than its fair share of creative geniuses. Writers, painters, photographers, film-makers, and musicians can’t seem to get enough of this place. One of the reasons so many artists make their way here is the majestic beauty of the natural world that is protected by a series of private parks and land grants. Here in Marin you can spend your mornings hiking or biking on Mount Tamalpais, the birthplace of mountain biking, and your afternoons walking along the Point Reyes National Seashore. You could also spend some time walking amongst the spectacular trees of the Muir Woods or exploring some of Marin’s hidden waterfalls, some of which are found in secluded parks inside city limits. The biggest attraction of Marin County is the people. Great communities never build themselves. Here in Marin the people are involved in their communities and are committed to keeping this a beautiful and sustainable place for future generations. Many of the people here are from families that have lived in the area for generations. Marin has one of the highest rates of voter turnout in elections at all levels. The citizens of this community aren’t afraid to get involved and to make sure their voices are heard. The people of Marin County come together to support causes and organizations as diverse as education, the arts, and the environment. If you are looking for the perfect place to buy a home, we think you’ve found it. Marin County has the reputation as a nature lover’s paradise. While it’s true that there is no more beautiful place than Marin, people looking for homes in Marin County, usually want more than just sweeping vistas. Marin is a great place to be active outdoors. The perfect Mediterranean climate means it is never too hot, too cold, too wet, or too dry here. You can surf, hike, bike, garden, or just sit outside, all year round. But, Marin also has some of the best shopping anywhere. From the famous antique shops of San Anselmo to the trendy boutiques of Sausalito, Marin is your shopping destination. If you cannot find what you want in Marin, San Francisco is always a short drive or ferry ride away. The best part of shopping in the City is knowing you get to come home to Marin. 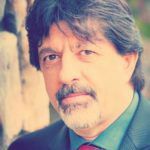 Behzad is the most professional real estate agent I have worked with who has the expertise and the knowhow not only to get the best deal possible but too walk you through all the complicated process of closing the deal. We had a challenging purchase and not only he found the best investment property for us but he was able to even get us a better deal in this seller market. We enjoyed working with him and he will be our agent for any deal we have in the future. Hello to all of you who is looking for a very exceptional agent for your buying or selling a home or for financing them. Behzad helped me to purchase a building and he went beyond what he supposed to do for me. It was almost three months of working each day just to make sure I was getting what I needed and he found me a great finance and taught me reasons behind each decision. I am very appreciative for what he did for me. Now i have the house and am very happy about it. If you like to learn in this process what it takes to sell or buy a building and how to have the best financing, he is your guy. I am so sorry that stars were just five I would give him 10 starts. Behzad is on top of his game and a very knowledgeable man in his field. Thank you so much for all the work you have done for us. We just purchased our first home and Behzad made our dream come true. He was relentless with his efforts to make the transaction smooth and was available 24/7 for any questions that we had. Behzad was highly recommended by my brother who has done several transactions with him and now we will recommend him to all our family & friends.